Notes: Baconsthorpe Castle is a fortified manor house, now a ruin, to the north of the village of Baconsthorpe, Norfolk, England. It has been designated by English Heritage as a Grade I listed building, and is a Scheduled Ancient Monument. The ruins are constructed of flint with some brick. The curtain walls are complete and include the remains of towers, forming a square court of 30 m (98 ft 5 in). The remains of a three storey gatehouse with a two storey projection for the drawbridge are in the middle of the south wall. The remains of a two storey range are along the east wall. 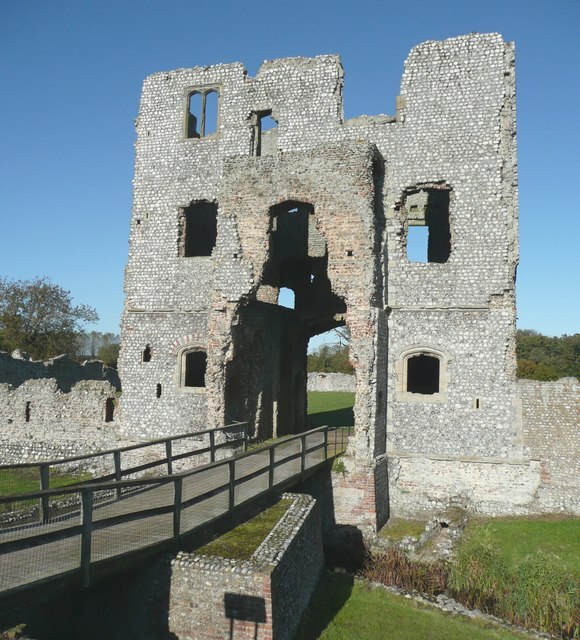 The ruins are administered by English Heritage and are freely accessible to the public.